For the first time ever, Empath (Flawed #1) is available for FREE. Why am I giving away a book that took four years to birth and so many long hours to write, rewrite, revise, and revise again, not to mention the expense of professional editing and cover art? Because I want you to enjoy it as much as I have. 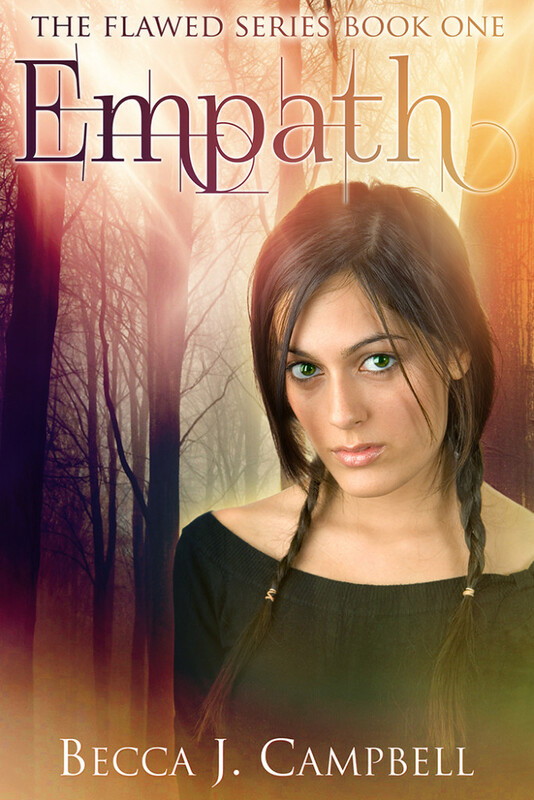 Empath is a New Adult (college age) blend of Urban Fantasy and Paranormal Thriller. If you enjoyed Empath and would like to meet other individuals who battle with their own unique, super-human weaknesses, check out the other titles in my Flawed series. To join me on my writing journey and be notified when my books are released, sign up for my author newsletter. I’d love to give you a free eBook of your choice as a welcome gift, so make sure to email me after you sign up and let me know which book you want (new subscribers only; limit 1 book per person). This entry was posted in Books, My Works and tagged Amazon, amreading, becca j. campbell, book, empath, Flawed series, free ebook, great read, iBooks, iTunes, Kindle, NA, New Adult, novel, paranormal, reading, suspense, thriller, urban fantasy, young adult. Bookmark the permalink.